The Sundowner Cabin and Tourist Park is Whyalla’s Accommodation specialists offering accommodation for all budgets. 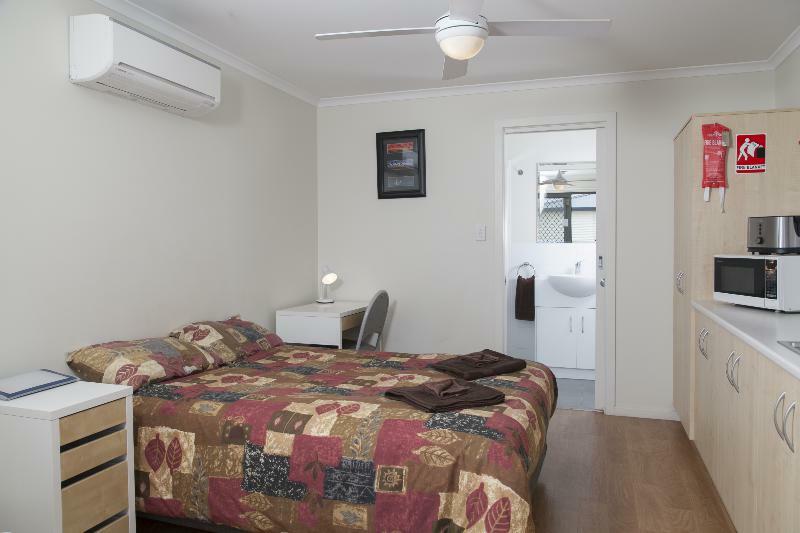 It is the most versatile accommodation in Whyalla and designed to meet all needs for short or long term stays. It offers a quiet and secure environment that is friendly, affordable and relaxed. 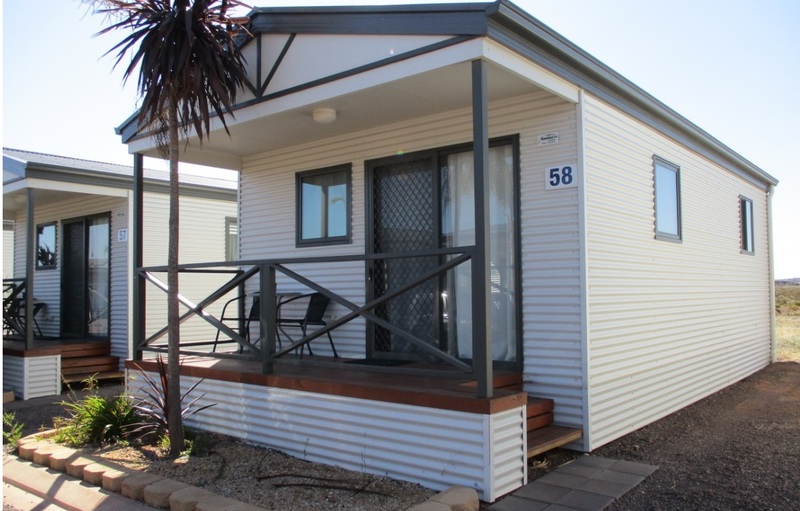 Our Whyalla accommodation comprises of 72 deluxe self contained cabins, including 55 two bedroom fully-furnished cabins, with modern kitchen facilities, full size fridge, stove, lounge and dining area. Whyalla’s very first 24 hour self service check in kiosk – Check in any time of the day or night!!! Contact the office to find out more! We are happy to announce as of July 2016 we are PET FRIENDLY in two of our Two Bedroom Cabins! Please do not hesitate to enquire with us about our Pet Friendly Cabins! For those who do night shift when they visit us we now have ‘Black Out Blinds’ in our Two bedroom Cabins, these black out blinds block out all sun in the bedroom windows and reduce noise. If you are coming to Whyalla for work please do not hesitate to enquire about our new Black Out Blinds! Please be aware the office is shut from 12.00 pm to 12.30 pm daily. Early or Late Arrivals can be arranged outside office hours. We are a Tripadvisor recommended property. Click the image below to access our reviews. Coming to Whyalla with friends, family or bringing a working crew? Try one of our 55 self contained, two bedroom fully-furnished cabins with modern kitchen facilities, full size fridge, stove, lounge and dining areas. With three disability/wheelchair friendly cabins, our two bedroom cabins cater to the needs of individuals and families. Travelling alone or with your partner? 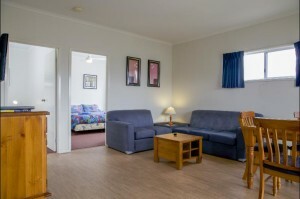 Try one of our seven one bedroom apartment cabins, ideal for long term guests travelling alone. 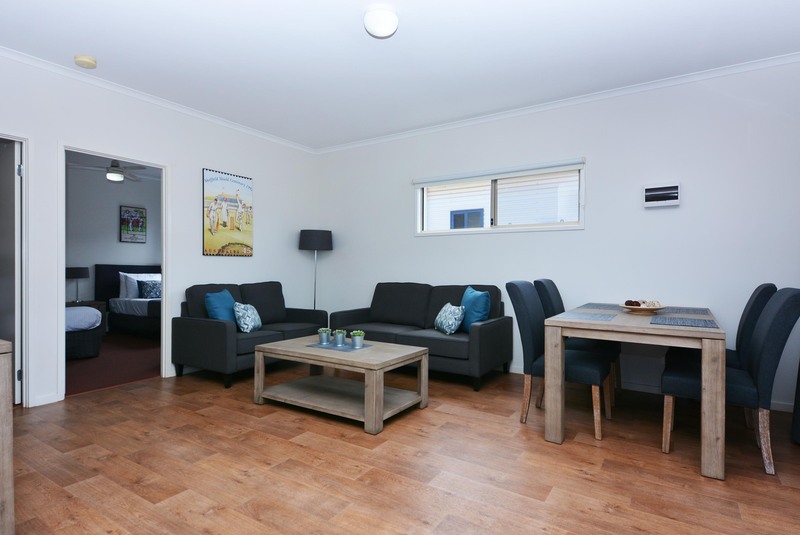 Each apartment is fully self contained with full kitchen and dining facilities and separate lounge room. Each cabin features an LCD TV and the entire park is covered by pay-as-you-go broadband internet. Looking for an alternative to a motel? Based on a motel room with a stylish open plan, our studio cabin is perfect for the short term guest or couple looking for budget accommodation. Superior Cabins – Our Premier Offering! Much more than you expect.